Discovering an awesome cookbook is analogous to finding gold in the river. There is always something good in every cookbook, and it’s really too bad when wonderful cookbooks don’t get recognized. When I am grabbing a milk tea in Mountain View, I often walk past an old bookstore that only carries used books. One day, to escape the California heat, I walked into the store and found my way to the cookbook aisle. I almost choked on my boba when I saw their selection of cookbooks. The shelves were filled with so many old, dated cookbooks. You’d think you were in a cookbook museum! My arms were filled with cookbooks ready to be purchased. I contemplated letting go my milk tea so that I could carry all these books. From this awesome bookstore, I purchased a Chinese cookbook called The Shun Lee Cookbook by Michael Tong, which is actually not very old. 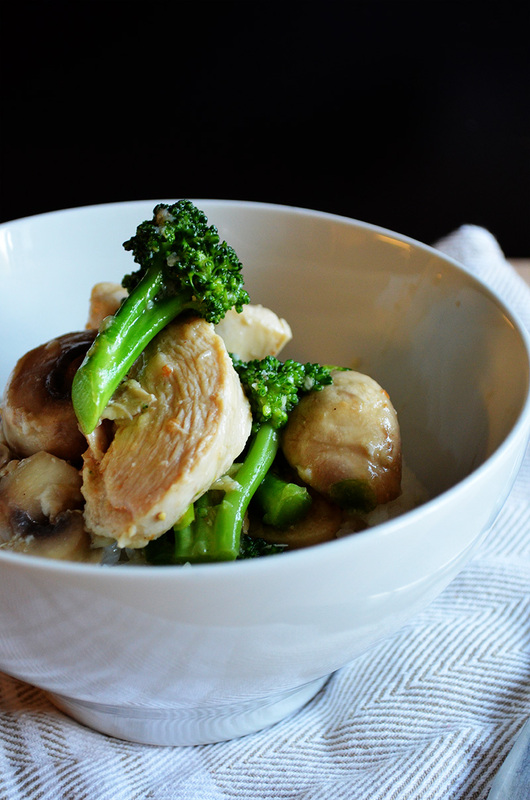 From the cookbook, I adapted this chicken, broccoli, and mushroom recipe. 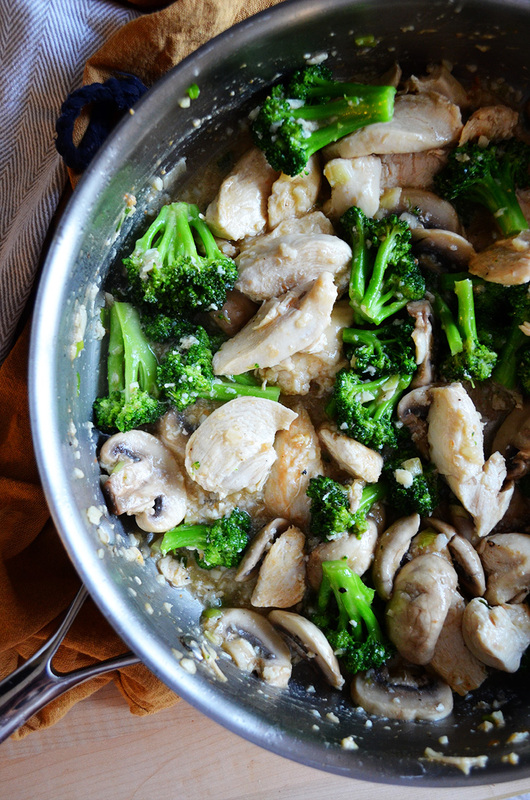 The flavors are very simple, but it hits the spot when you’re in need of a lighter meal. I can eat this everyday and not feel sick to my stomach. 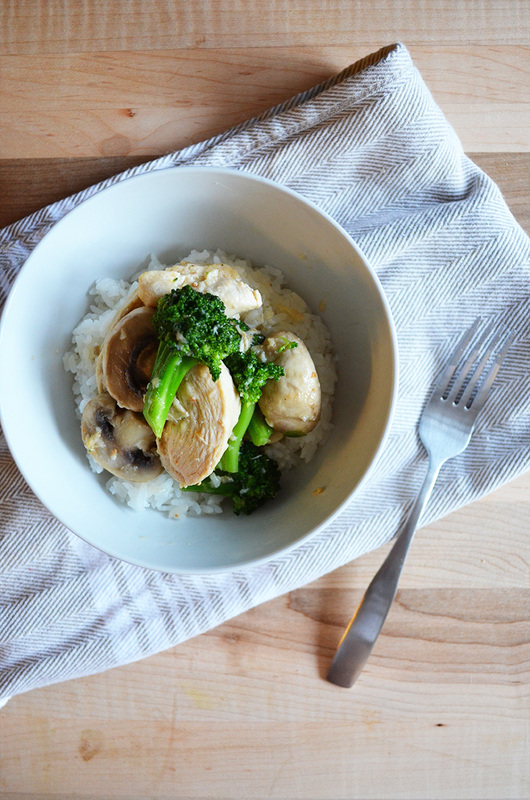 Serve this with white rice, and it’s the perfect meal. This dish is infinitely better than its Chinese takeout equivalent. This dish is also great when you don’t have anything planned for dinner because you can make this on a whim. Slice the chicken breasts into strips, crosswise, about ½ inch wide. Place the chicken into a large bowl and mix in the egg white, 1 tablespoon corn starch, and ¼ teaspoon salt, then set aside. In a saute pan or pot, bring 4 cups of chicken stock to a boil. 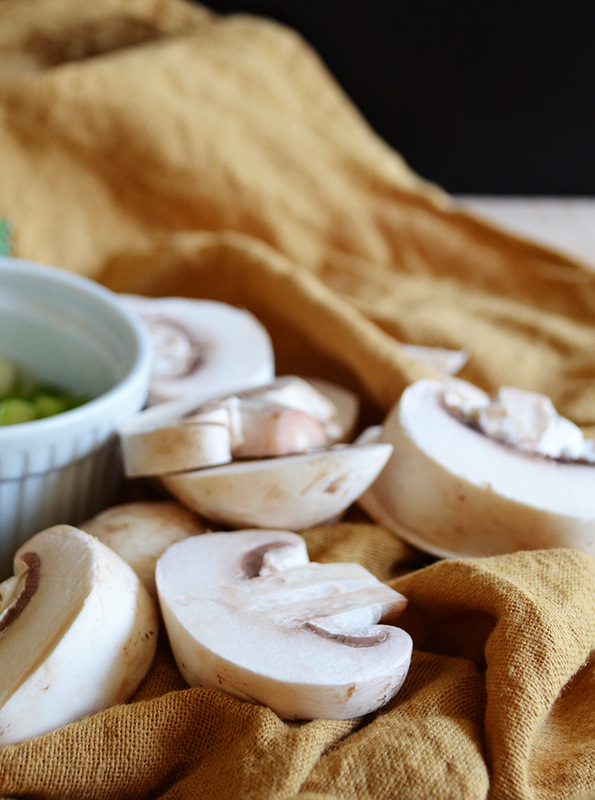 Add the broccoli and mushrooms, then cook for 4 minutes, until the broccoli softens slightly. Drain and discard the stock, then set the vegetables aside. In a small bowl, mix together the remaining ½ cup chicken stock with ½ teaspoon salt, sugar, and dry sherry. Set aside. 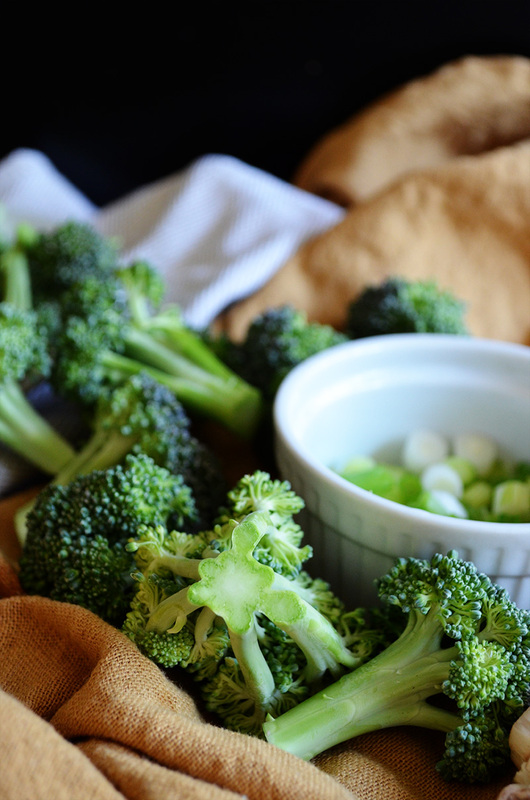 In a separate small bowl, mix together the remaining 1 tablespoon cornstarch with 3 tablespoons cold water. Set aside. Heat the extra virgin olive oil and sesame oil in a large wok or saute pan over high heat, then stir. When the oil is hot, add the chicken and cook until it is no longer pink, about 4-5 minutes. Stir constantly, so the pieces don't stick to each other. Transfer the chicken to a plate, leaving the pan over the heat, then set aside. Add the scallion and garlic, and cook for about 30 seconds. Add the chicken stock mixture and cornstarch mixture, and bring to a boil. Return the chicken and vegetables to the pan and stir fry until the sauce has thickened, about 1 minute. Serve immediately. Thank you so much Crystal! I love your blog! !